Lida Xing of the China University of Geosciences found the amber piece in a Myanmar market in 2015, according to NPR. The Dexu Institute of Palaeontology agreed to purchase the specimen, and Xing and colleagues got to work scrutinizing it. The dinosaur was likely a carnivorous coelurosaurus – part of a group that includes the mighty Tyrannosaurus – although the discovered dinosaur probably wasn’t very mighty itself. Scientists can tell it was tiny from the tail bone, which is a mere two millimeters across. Part of the mystery of dinosaurs with feathers is that many probably didn’t use that plumage to fly. 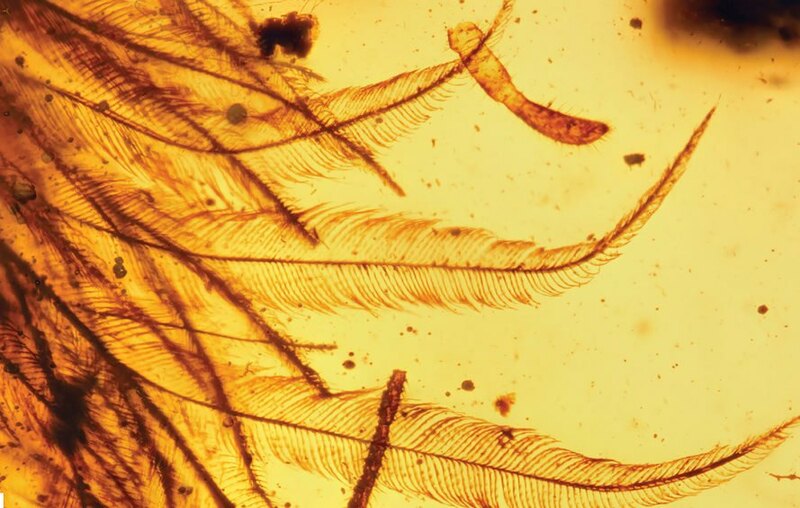 The structure of the little dinosaur’s feathers instead resembles ornamental feathers seen on some modern birds. The way the feathers’ barbs bend means they’re far more flexible than feathers used for flight, and they could have been employed to send signals or regulate the dinosaur’s temperature. Scientists believe that the top of the feathers were dark brown, while the underside appears to have no color at all. It’s possible that carotenoids (pigments responsible for orange, red, and yellow hues) brightened the underside feathers in life but broke down swiftly when the dinosaur died. Scientists are thrilled with the discovery, and they hope they’ll be able to find more specimens in the future. With a conflict between the Kachin Independence Army – who currently possess the Hukawng Valley – and the Myanmar government hopefully coming to a close, scientists may be able to get more access to the amber mines, according to Xing. He speculated they might even find a whole dinosaur one day. 14 scientists from international institutions participated in the new study, which was published by the journal Current Biology. Images via Lida Xing, et al. 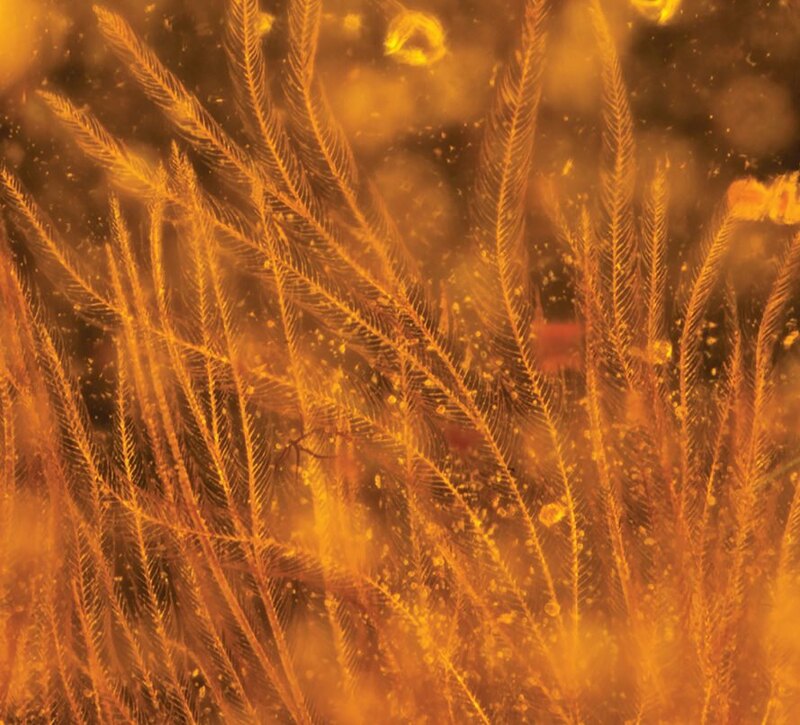 Scientists just discovered an amber-preserved dinosaur tail - and it's covered in feathers. The incredible tail is covered with feathers. The dinosaur tail came from amber mines in Myanmar. The tail likely belonged to a small, sparrow-sized dinosaur.